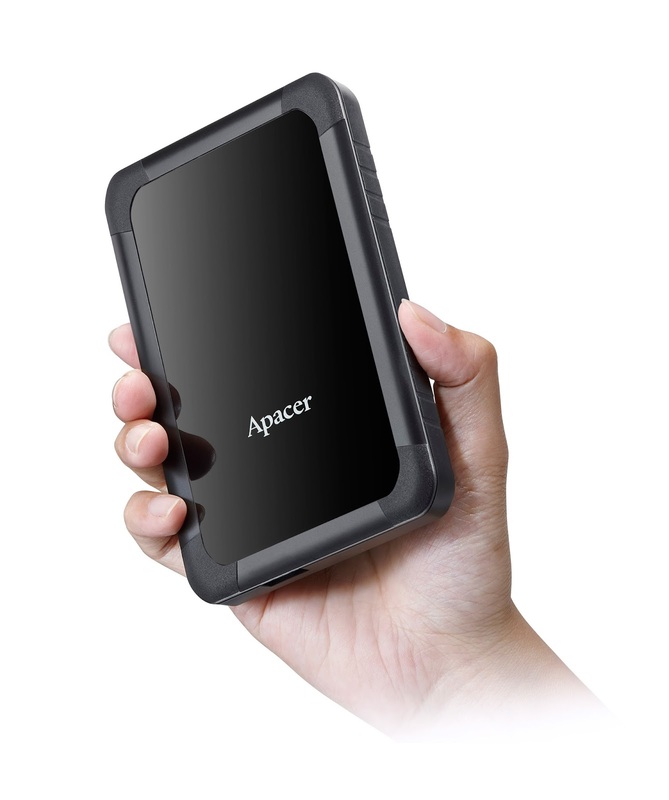 Apacer launches the brand-new AC532, a classic portable hard drive combining a slim shape with great protection design, making it a high price-performance choice in portable hard drives. AC532 is equipped with an anti vibration internal suspension structure, which endures drops from 1-meter height. The anti-slip design on two sides makes AC532 easy to hold and carry, efficiently reducing damage from dropping, falling, bumping, and other shocks to ensure the safety of data. Also, AC532 adopts a USB 3.1 Gen 1 super speed transmission interface which greatly decreases the transmission time, and its capacity is up to 2TB, making your mobile life full of freedom and efficiency! AC532 is equipped with triple safety protections: anti vibration internal suspension structure, 1-meter shockproof and anti-slip design on two sides. With comprehensive protections, AC532 considerately guards the precious data for users. The advanced anti vibration internal suspension structure forms a buffer for external forces of the hard drive, and reduces the impact from accidental drop or movement when accessing data. Besides, AC532 has passed the 1-meter drop test, showing that it is resistant to falls of 1-meter height without losing data. These solid protections make AC532 an excellent choice for portable storage! Combining stylish and safety protection design, Apacer AC532 is available in two classic colors: jet black and glossy white, featuring a smooth mirror surface which shows its concise and neat style. The back and the edge of AC532 are covered with matte black and white respectively, which make the mirror body more shining. The four corners of AC532 are covered with rough texture patterns, and the thoughtful anti-slip design on two sides not only makes it easy to hold and carry but also avoids the accident of dropping. AC532 has passed a number of safety certification such as CE, FCC, RCM and BSMI to ensure its safety and compatibility meet the international standards. With the sturdy USB Type-A female connector, AC532 can bear more than 10,000 times plug-ins and unplugging, providing another safety guarantee for users. AC532 comes in two memory capacities: 1TB and 2TB; the latter can store up to 500,000 songs in mp3 format, 1,000,000 digital pictures, or 833 hours of Full HD video, which allows users to carry a great capacity of files easily without fearing all kinds of accidental impacts in daily life. AC532 is definitely the best choice of mobile storage for modern people!